In 2012 among Princeton Review's 150 "best value colleges"
Purdue University, situated in West Lafayette, Indiana, was established in 1869. 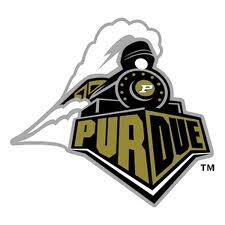 Purdue University has 10 colleges and schools. The university provides undergraduate and graduate degree programs in more than 210 major areas of study. Purdue University is known for research and achievement in aerospace, technology, engineering, math, and science. Purdue University Online offers undergraduate degrees, graduate degrees, and graduate certificates. Graduate degrees are available in subjects such as agricultural economics, building construction, business, education, engineering, pharmacy, and technology. Graduate certificates are available in applied heat transfer, applied statistics, digital signal processing, homeland security, noise control, nuclear pharmacy, and regulatory and quality compliance in industrial pharmacy. A veterinary technology distance learning associate's degree program is also available. The online Master of Science in Education in Learning Design and Technology program prepares students to design, adapt, evaluate, and implement technologies and instructional methods for an array of settings. The program includes a required portfolio project which can have practical applications to a student's current job. The program also includes a supervised practicum which can be completed at a student's workplace. All the coursework is online. Purdue University has notable faculty members. Students in the Purdue University Online programs are taught by highly qualified instructors. Purdue University Online representatives are available to help applicants with the enrolling process. Financial aid is available for those who qualify. Purdue University offers benefits to service members.